What can you say...we had hoped that the whispers weren't going to come to pass but alas they did. 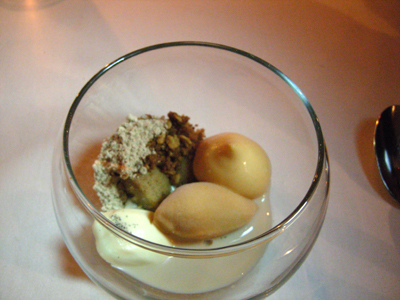 Interlude is closing its doors - last service on Saturday night. 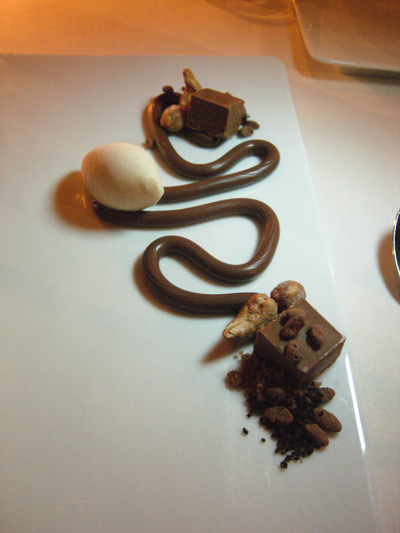 While we never got to knowingly have a farewell dinner at Fenix we certainly are going to say au revoir to Interlude in style. 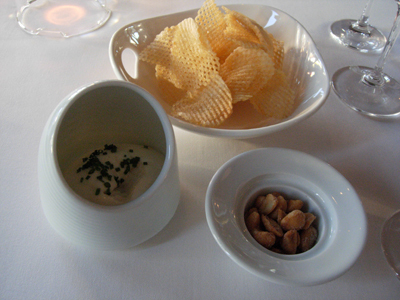 It begins, as always, with the beer flavoured nuts, lattice cut chips with salt and vinegar foam. 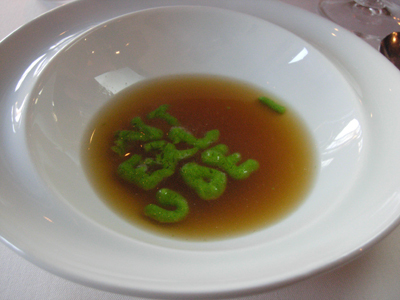 The letters are a basil gel and they sit on almost clear parmesan gel - the warm tomato broth is poured at the table which works to melt the parmesan gel but set the basil gel. 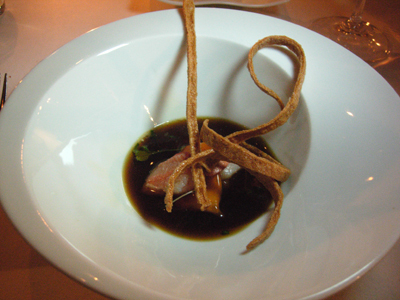 Underneath and set at a angle in the bowl, is a gel of lentils which is designed to dissolve in the heat of your mouth. 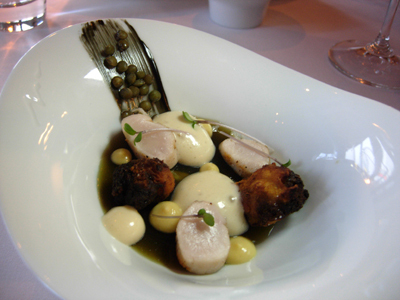 3 slices of poached rabbit loin are arranged between delicately scented liquorice beignets. 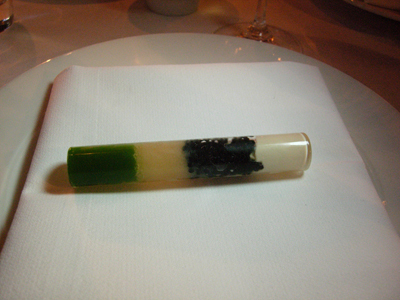 The dish that causes grown men to giggle. 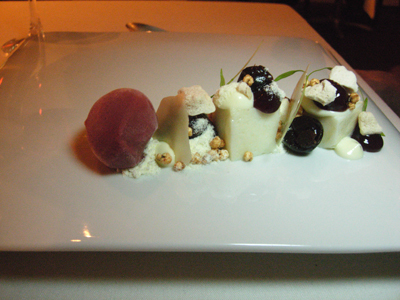 One of my favourite dishes as the final product is just so different. The combination of rosemary cookies, sweetbreads and eucalyptus is almost impossible to describe - it defies classification as sweet or savoury. There's a bonus of sliced truffle over the faux egg - cut the egg and chicken juices escape. 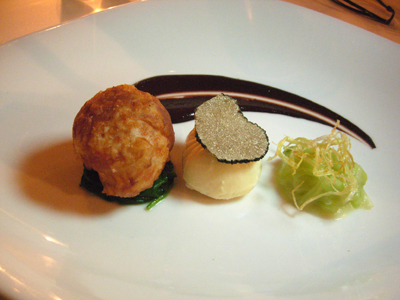 Chicken breast is shaped to form a ball and it's served along side shredded leek and a delicious black pudding puree. 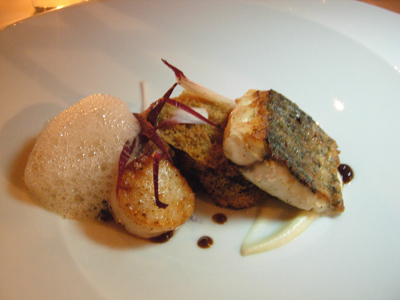 Pan seared mulloway sits askew a slice of chickory sponge cake. 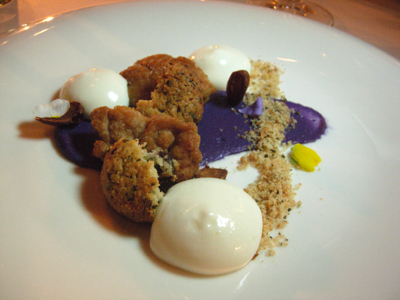 A seared scallop and treviso complete the plate - violet powder brings and intriguing perfume to the dish. 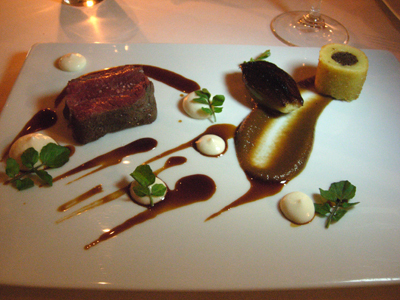 9+ Wagyu sirloin is served with roasted puree and horseradish foam - to one side a potato cylinder stuffed with braised oxtail. 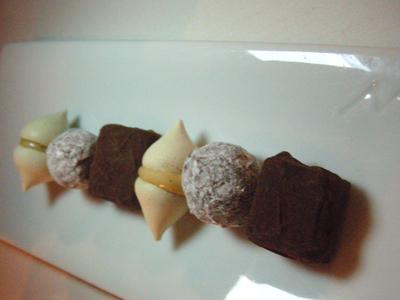 Petit Fours - a final treat with our coffee. With that, our final dinner at Interlude draws to a close - sad to see it passing but hoping for good things to rise in the future.